Stranded by Dani Pettrey released this week and it’s an adventure you don’t want to miss! Read the exciting details below to find out how you can experience your own Alaskan adventure! Reporter Darcy St. James knows something is wrong when her friend vanishes from her job on a cruise ship. Everyone else believes Abby simply left of her own accord, but something isn’t lining up, and Darcy knows the only way to find the truth is to put herself in Abby’s position. Gage McKenna has taken a summer-long stint leading adventure excursions for the passengers of various cruise lines that dock in Alaska for a few days of sightseeing. He’s surprised to find Darcy onboard one of the ships, working undercover as a reporter. 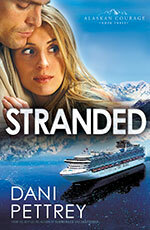 Stranded is the third book in Dani Pettrey’s acclaimed Alaskan Courage series. The McKennas are back and better than ever! I love this family and their faith in God and in each other! Gage and Darcy’s story has been begging to be told, and you certainly won’t be disappointed! Gage McKenna struggles with the heartache and loss he has experienced. In letting go of his past, he is able to give himself to his future. As a reporter, Darcy St. James won’t stop digging until the truth is revealed. She and Gage work together to uncover something evil and sinister. In doing so, they discover something beautiful! Dani Pettrey and her Alaskan adventures keep getting better and better and Stranded is romantic suspense at its best! Click the sweepstakes graphic above and complete the entry form or go to http://www.danipettrey.com/alaskan-adventures-sweepstakes/ and complete the entry box, anytime between September 2 and September 19. This giveaway starts September 2, 2013 and ends September 19, 2013 @ 11:59 pm (PST). Winners will be selected Friday, September 20, 2013, and announced at DaniPettrey.com. Handmade of New Zealand Paua shells, hammered copper, and Tahitian pearls, this necklace is the perfect complement for a soft sweater and jeans, or a unique finishing touch for a little black dress on a special date night. Be sure and enter today for your chance to win! When her prodigal brother Reef’s return to Yancey, Alaska, is shattered by his arrest for murder, Piper McKenna is determined to protect him. 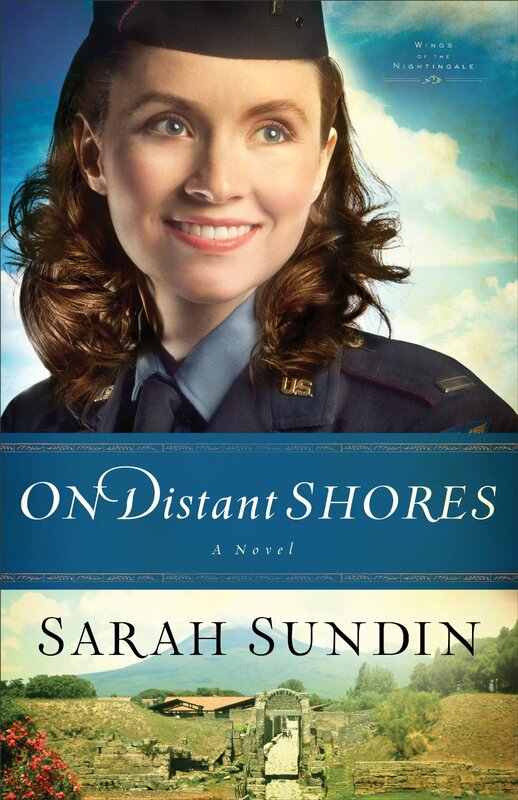 Deputy Landon Grainger loves the McKennas like family, but he’s also sworn to find the truth. And he knows those closest to you have the power to deceive you the most. With his sheriff pushing for a quick conviction, some unexpected leads complicate the investigation, and pursuing the truth puts Landon’s career in jeopardy. When Piper launches her own investigation, Landon realizes he must protect her from herself–and whatever complications await as the two follow clues deep into Canada’s rugged backcountry. Not only does their long friendship seem to be turning into something more, but this dangerous case is becoming deadlier with each step. 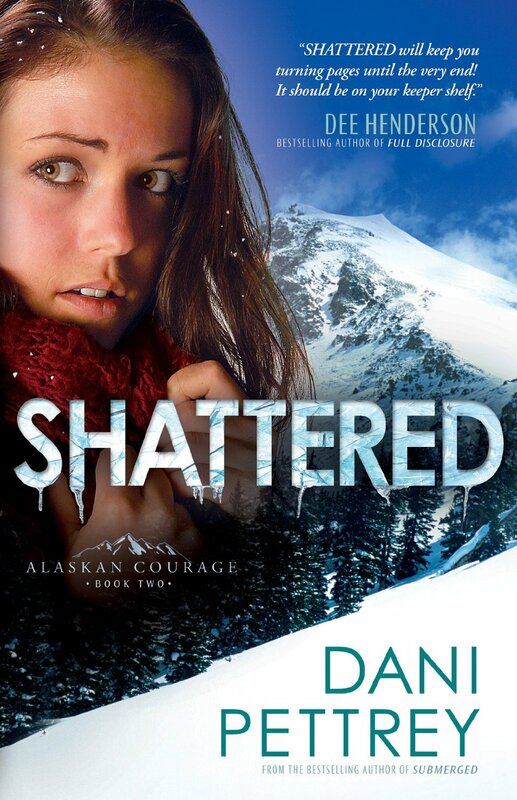 Shattered is the second book in Dani Pettrey’s Alaskan Courage series. 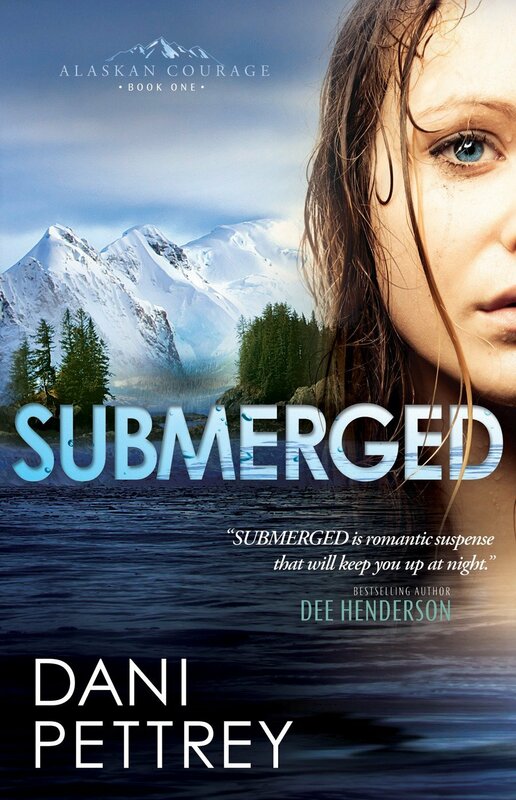 As much as I loved her first book, Submerged, I loved Shattered even more! One of my favorite things about a book series is the feeling of really knowing the characters and becoming invested in their stories. I loved coming back to Yancey, Alaska, and catching up with Cole and Bailey and the rest of the McKenna family. The relationship between Piper McKenna and Landon Grainger is one of friendship often fraught with conflict. Though they continue to deny their feelings for each other, they soon realize that a deep friendship can lead to an even deeper love! Shattered is a story of intrigue, romance, danger, and deadly consequences. The well-written plot twists with every turn of the page! Dani Pettrey does a wonderful job weaving spiritual elements into this story in a very real way! Don’t miss this Alaskan adventure! Dani Pettrey is a wife, homeschooling mom, and author. She feels blessed to write inspirational romantic suspense because it incorporates so many things she loves–the thrill of adventure, nail-biting suspense, the deepening of her characters’ faith, and plenty of romance. She and her husband reside in Maryland with their two daughters.